Today is the highlight of the trip! If you are a thrill-seeker, add these unique adventures to your list! Before we begin on our adventures, we had breakfast in Quest Hotel. 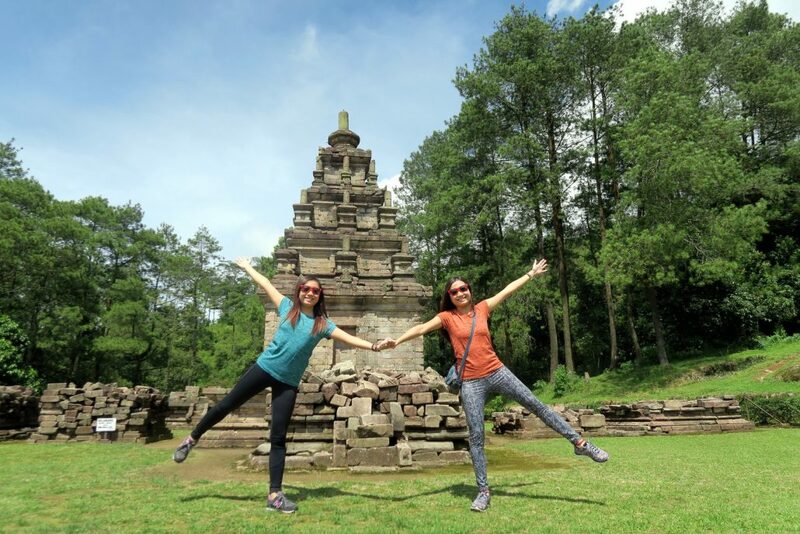 Our first stop was Candi Gedong Songo which was 1.5hr drive from our hotel. 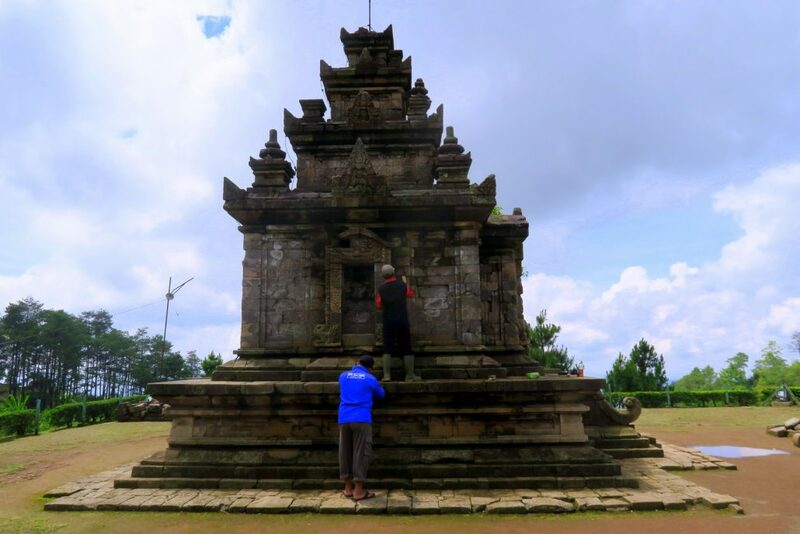 In Javanese language, Candi means temple, Gedong means building, and Songo means nine. 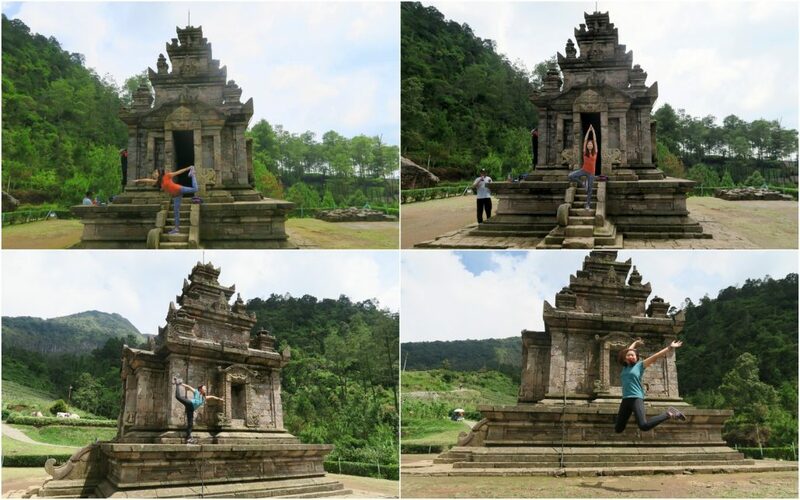 Thus, Candi Gedong Songo consist of nine Hinddu temples scattered on the slope of Ungaran mountain. 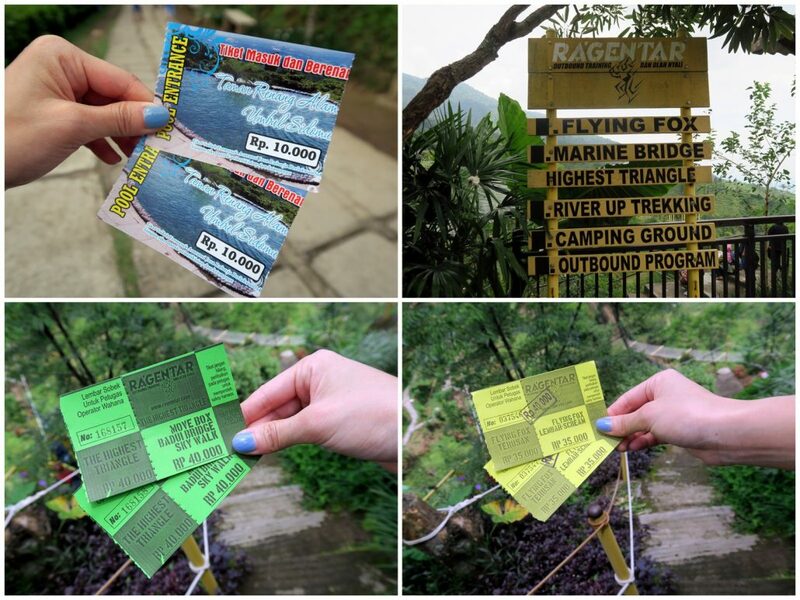 The entrance fee for tourist is Rp. 50,000 while for local is only Rp. 7,000. There are two options to get around the Hindu Temple, first by foot, second by horse! It will take approximately 2hr walk by foot and 1.2h by a horse. 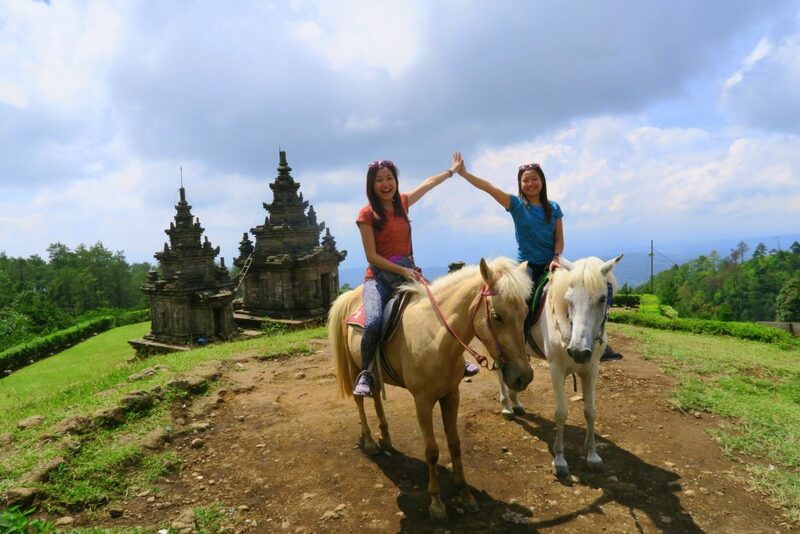 We recommend the horse riding package (Rp. 100,000) even though I felt bad to sit on the horse. The experience was so awesome! 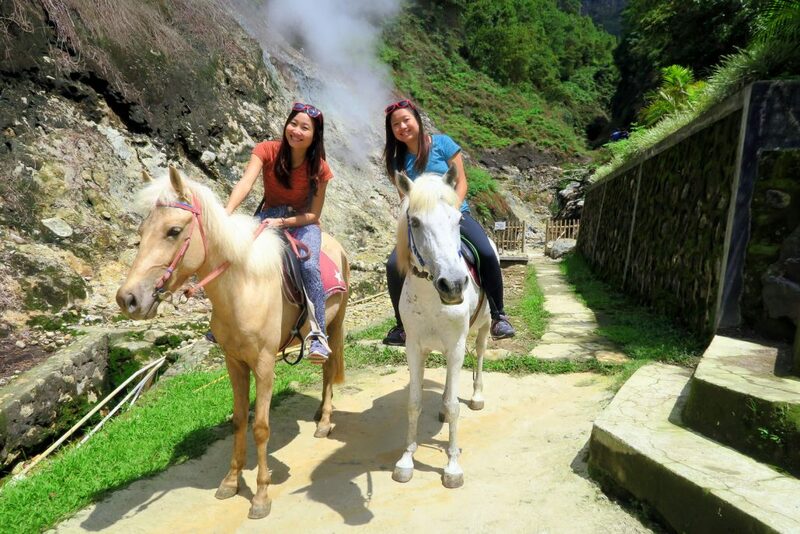 The horse ride was challenging as the stone path were uneven, narrow and steep. 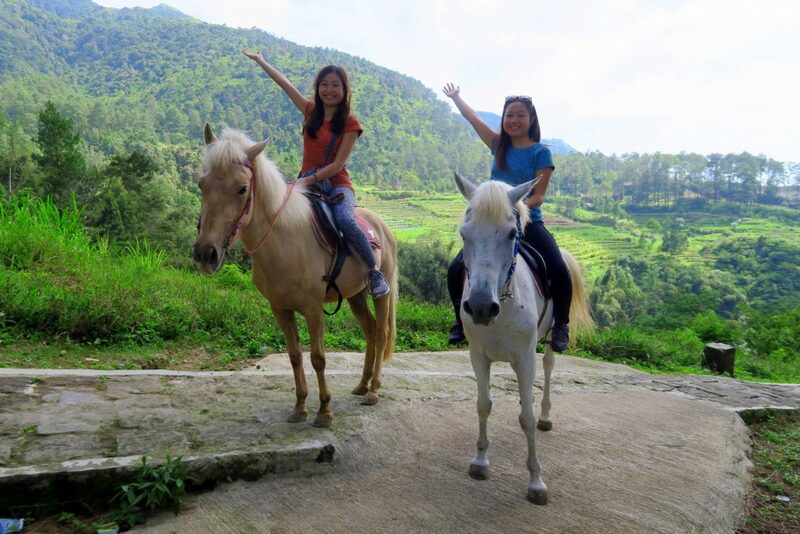 Poor horse, my horse even U-turn at one point of time when he faced a steep slope. So frightening! 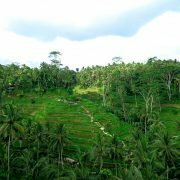 Besides giving you a new and fresh experience, another reason was that if you go on foot the distance is very far and it’s all the way uphill. Our first temple which is the furthest one on top! 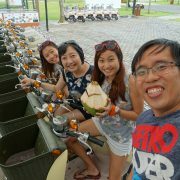 We continued our horse ride to the next Hindu temple! We passed by the water spring that contains sulphur. 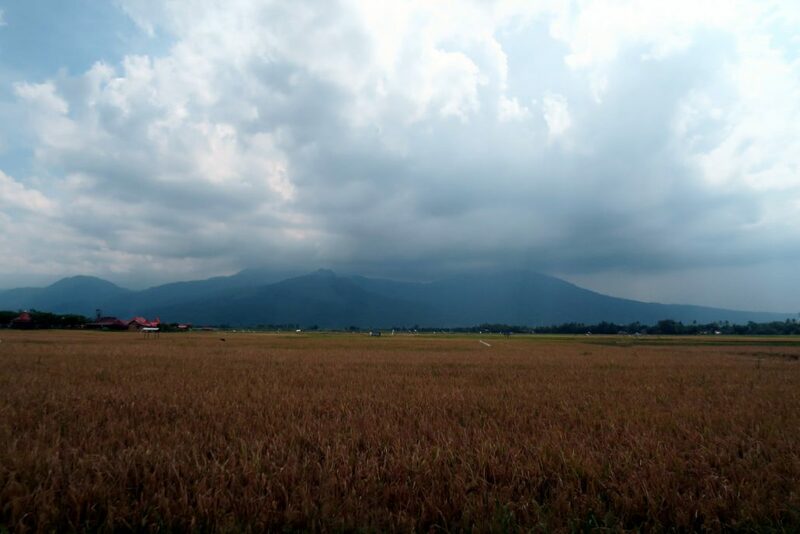 The scenery is breath-taking!! Surrounded by clear skies and the view was beautiful! Can you guess what are these people doing? 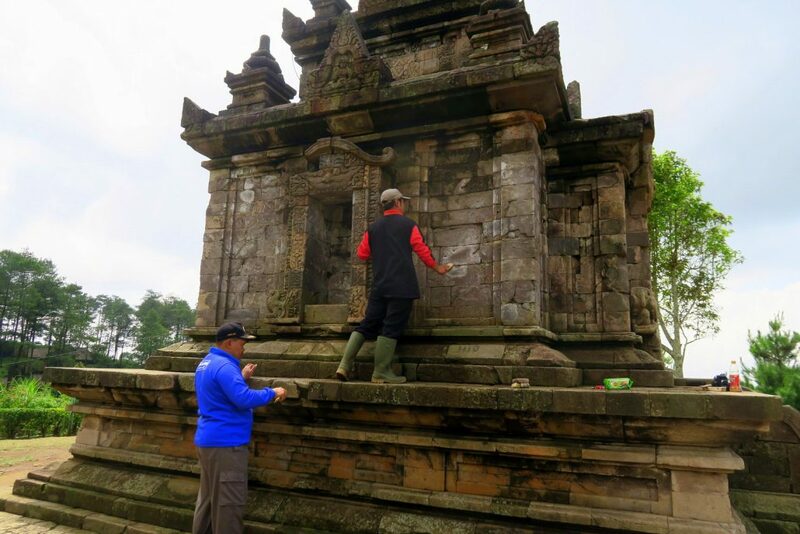 They are cleaning the temple, thanks to them we get to see the well-maintained beautiful structures! 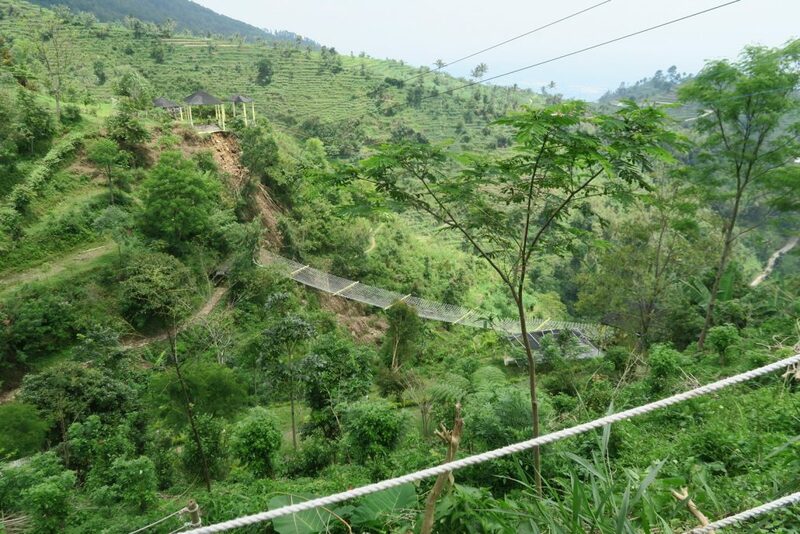 If you are here, you must take a zip line across the valley!! 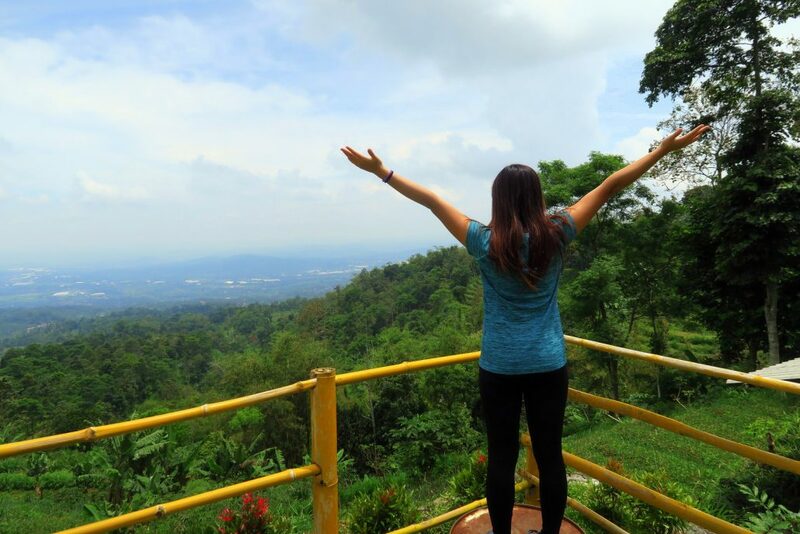 Enjoy your panoramic view of the Bandungan valley beneath! 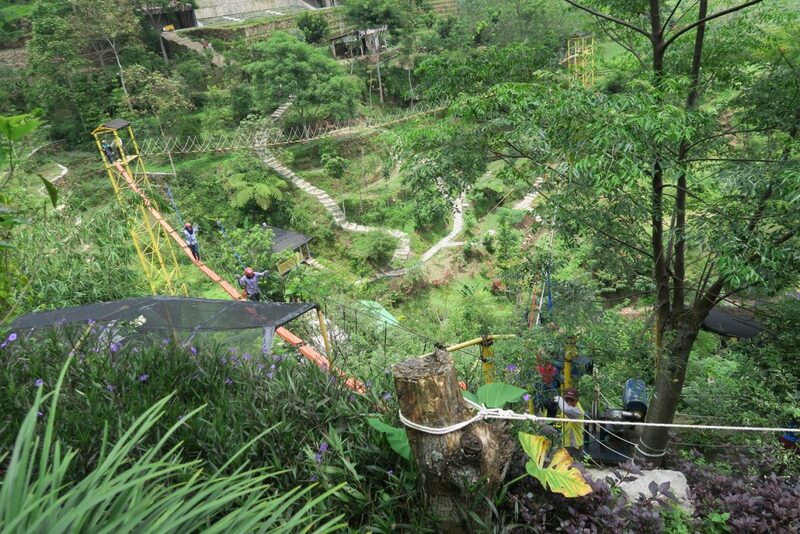 We conquered the highest triangle and flying fox. It was so fun and exciting! 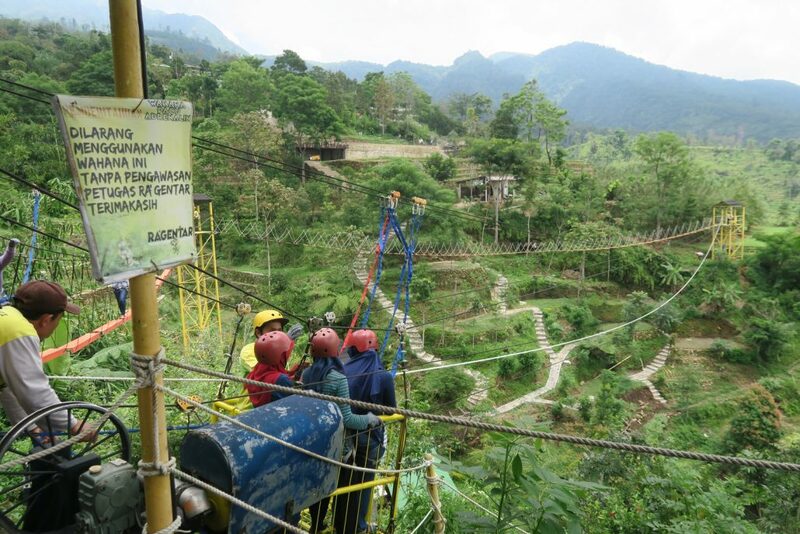 We even took the flying fox again. The Indonesians staff saw us and said “LAGI?” which means “again?” and we exclaimed YES happily. They also asked if we have it in Singapore, the answer was yes but how can we have flying fox across the panoramic view for Rp. 20,000? So why not play again and enjoy it while you can! We can play this again and again cause its super fun! 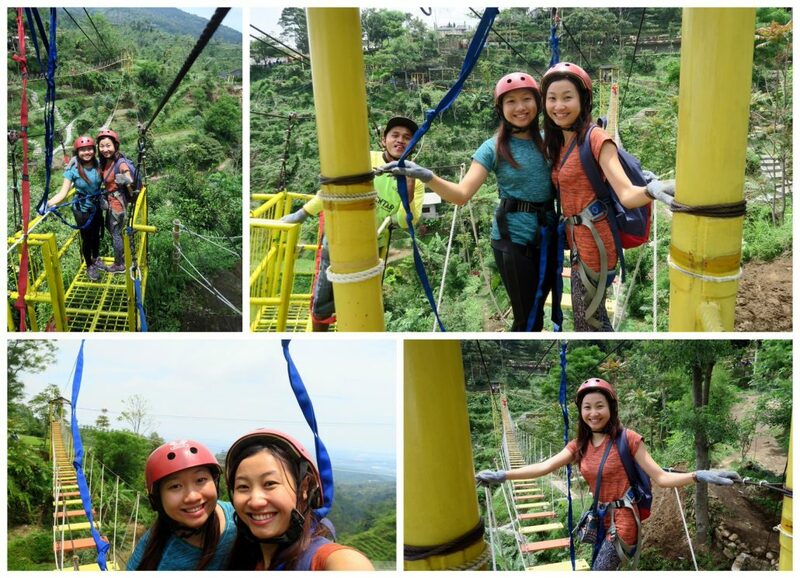 And the best thing was my sister and I can take the flying fox together! 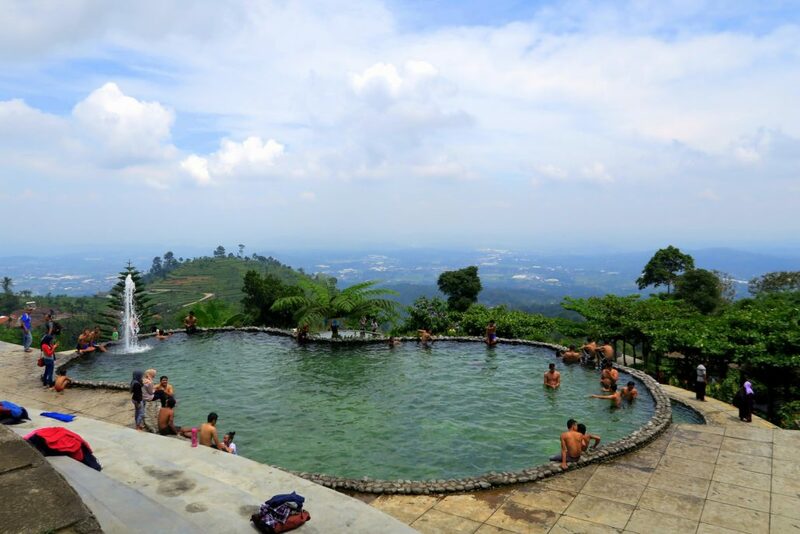 In the same place, Umbol Sidomukti, there is an infinity pool which claims that the water is spring water and it have healing properties. 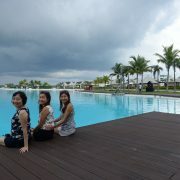 Due to time constrain, we didn’t have the time to take a dip here. Things to take note: they have lunch break at around 12, reach early else you need to wait an hour before you can play. 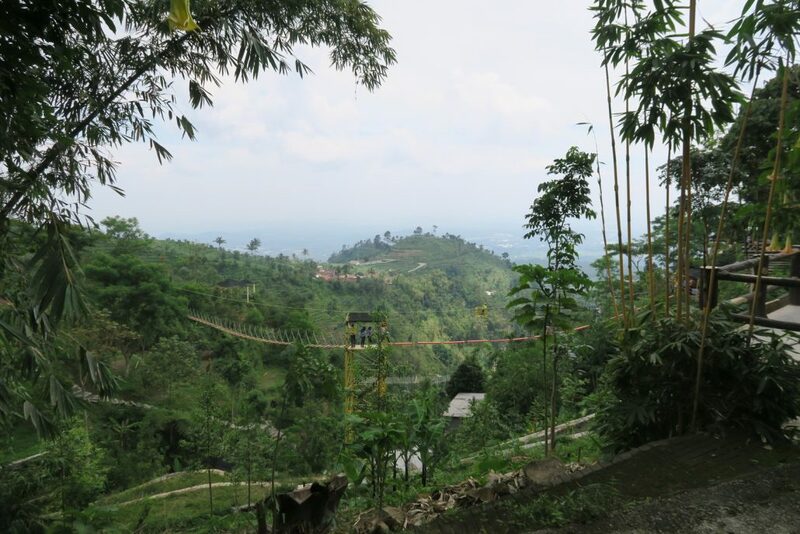 Next on our itinerary is Fort Wilhelm, an old fortress in Java. However, we were not able to enter because 2 weeks ago there was a group of tourist that threw a packet of drug and cigarette into the prison located next to it. Due to this incident, they do not allow tourist to enter. Interesting Fact: The land of Fort Wilhem belongs to the army, it is not considered as a tourist attraction! 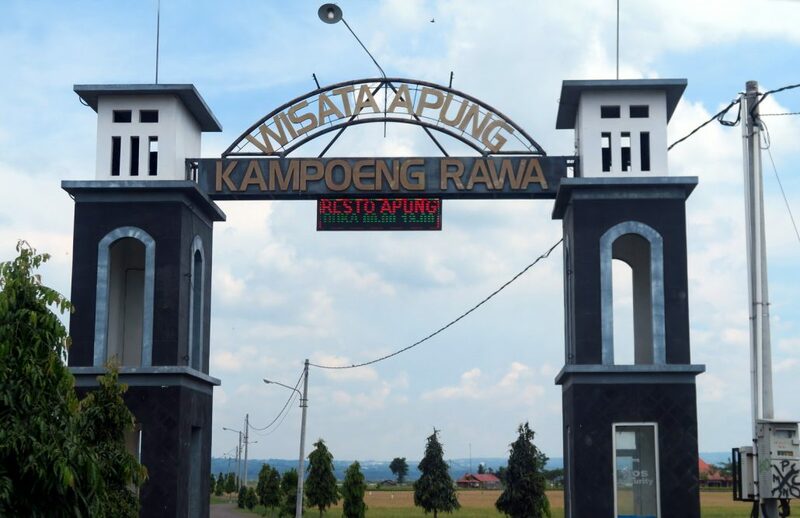 Our next destination is Rawa Pening which translate directly to swam village. 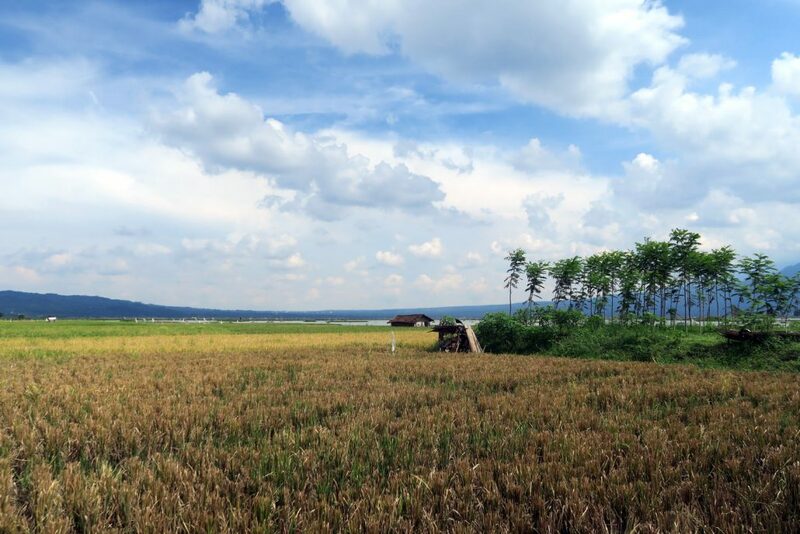 The swam village is surrounded by padi field! 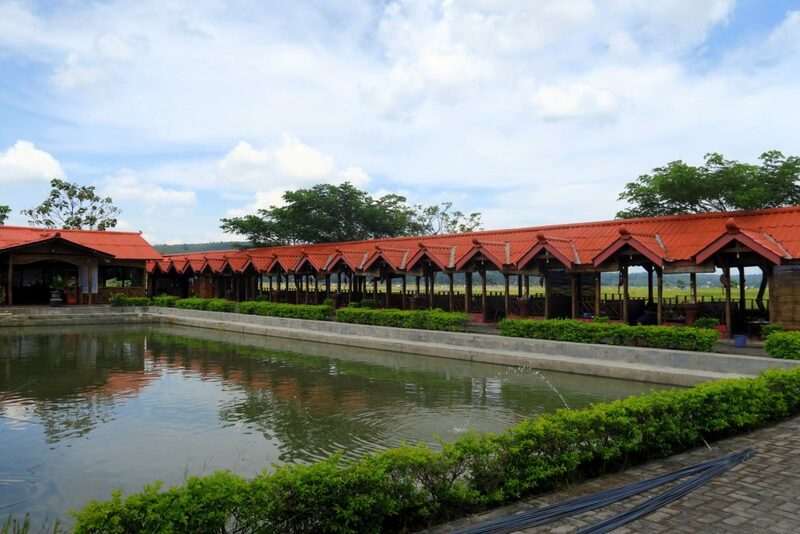 This small village itself has much to offer, the most popular one was the boat ride around the lake. 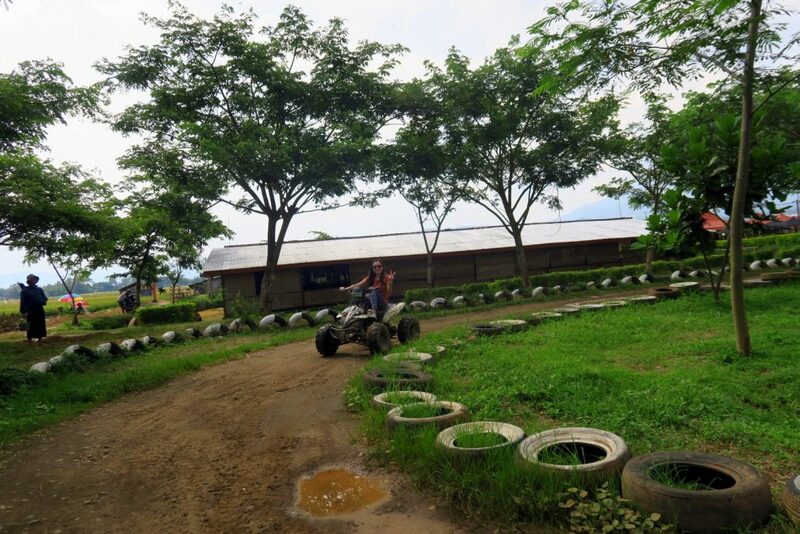 There are also some games such as water duck, mini tricycle and the ATV! We love CHEAP TRILL HAHA! 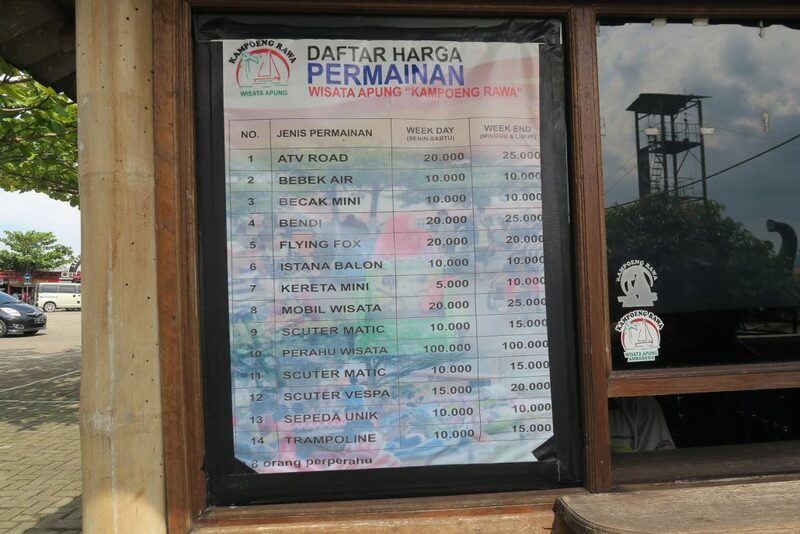 ATV ride cost Rp. 20,000 on weekdays and Rp. 25,000 on weekend. It was really worth it! We played for very long, approx. 15 mins and we were wondering when will the person ask us to return. 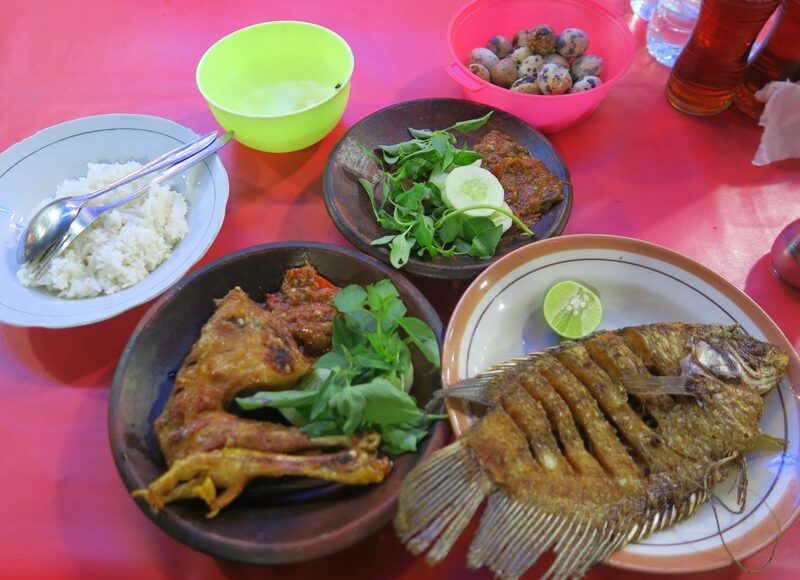 After our adventures, we decided to have our lunch at Rawa Pening. 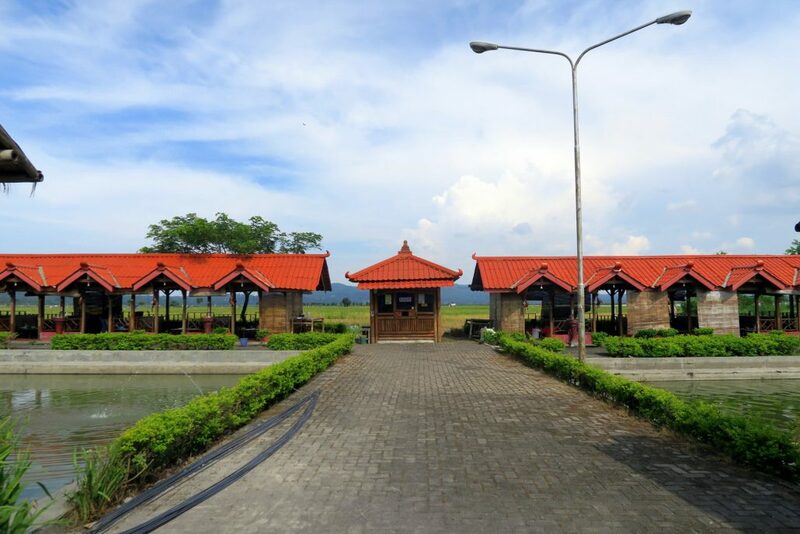 The restaurant is in-between the fishing pond and rice field! 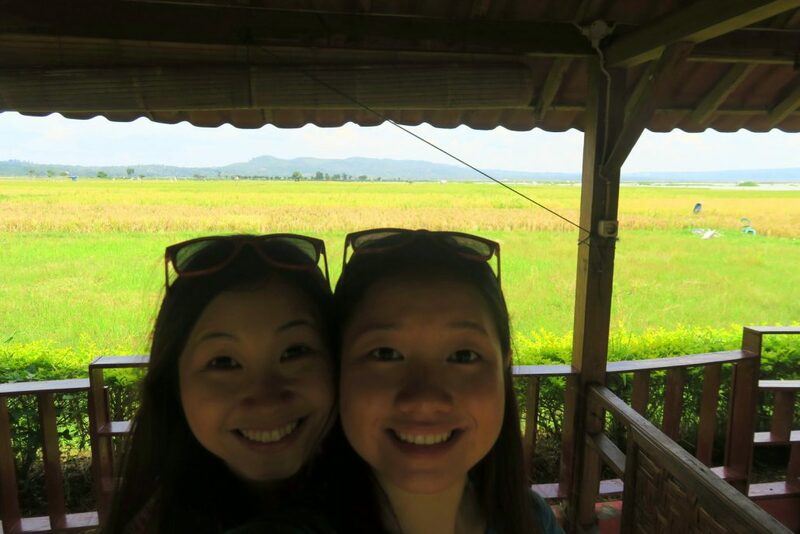 We immersed into the local culture and had our lunch in a mini hunt surrounded by fresh air, green rice fields and mountain! The place was beautiful and refreshing! 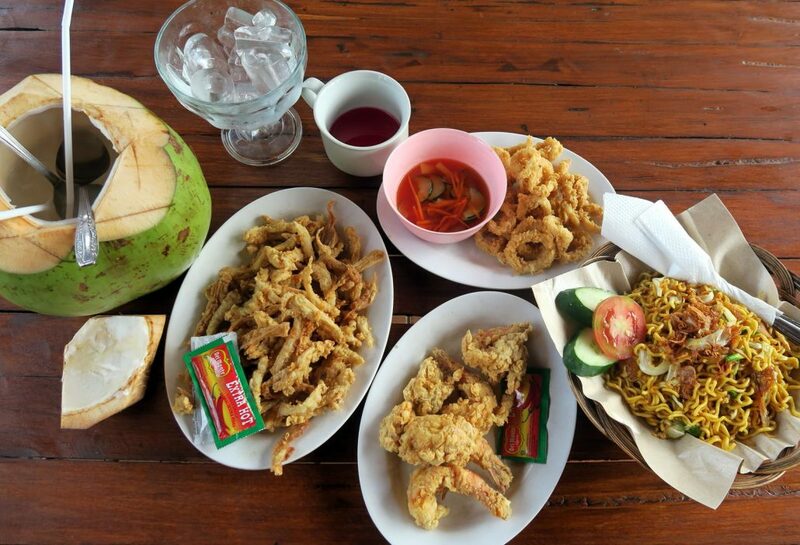 Indonesian Bakmi Goreng, Cumi Tepung,Jamur Crispy and Udang Dr Tepung. In short, Indonesian mee goreng, fried squid, crispy mushroom and fried prawn. 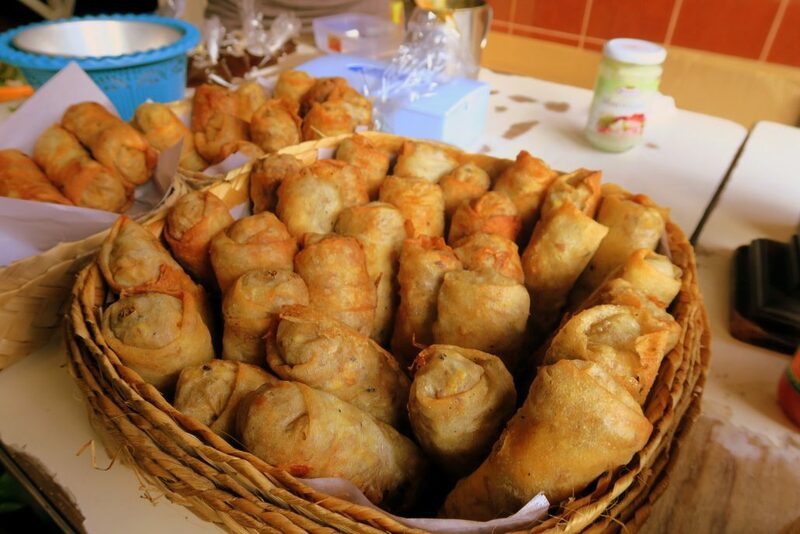 I guess you would have realise that everything we ordered is fried. HAHA let me tell you why! 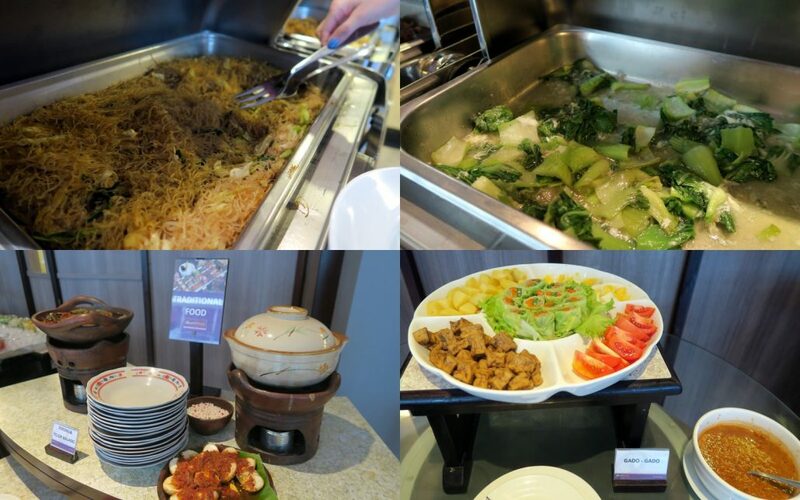 Because we only know the word goreng which means fried, and when they asked us the cooking style we always answered “goreng”. And while we eat, this is the view infront of our eyes!! After a satisfying lunch, we headed to the Sam Poo Kong Temple. 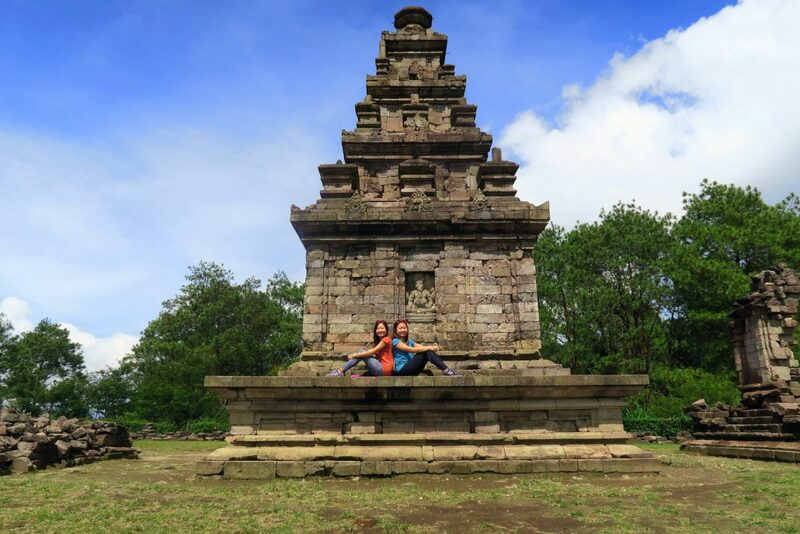 I didn’t expect there would be such a huge temple in Indonesia. 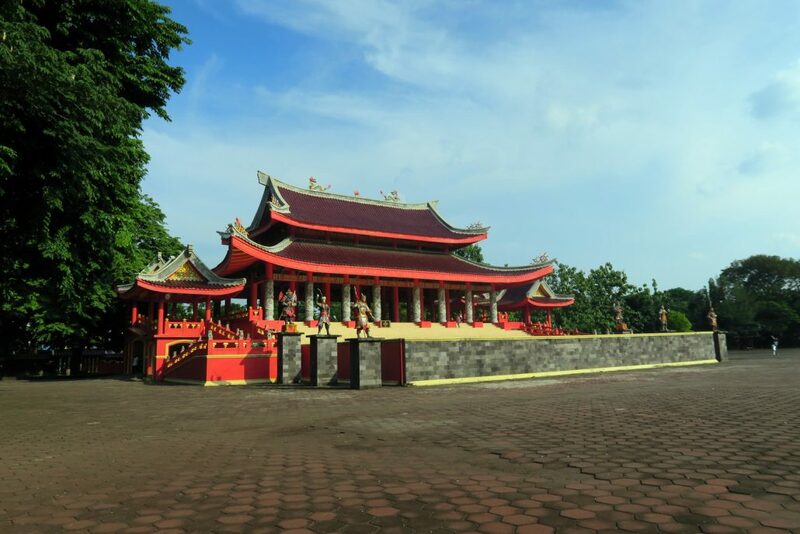 Sam Poo Kong was built in the 18th century established by Chinese Muslim explorer Zheng He. There were 5 temples in the complex and we felt so small to be standing in the complex! 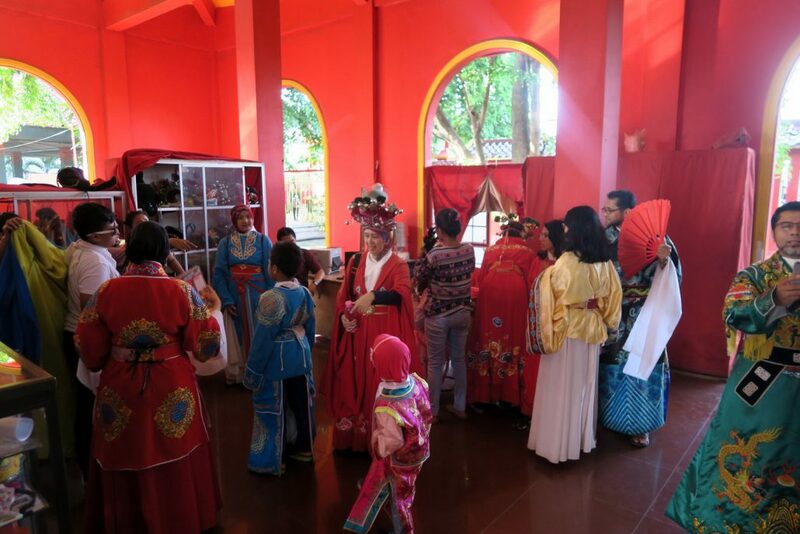 There is also chinese traditional attire for people to take photos. Sam Poo Kong temple is a nice place to check out if you have time! 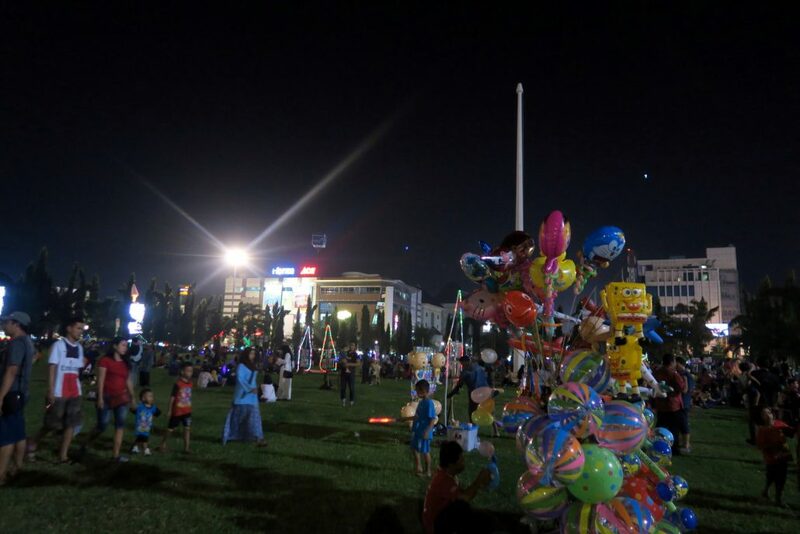 In the evening, we went to Semawis Market which was 10 mins walk from Quest Hotel. They open at 6 pm and when we arrived they weren’t plenty of shops set up yet! 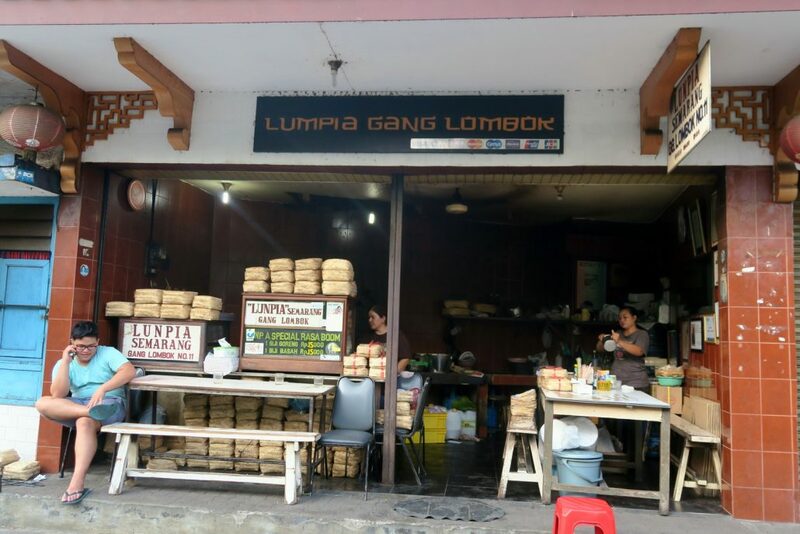 5 mins away from Semawis Market is the famous lumpia gang Lombok which serves the traditional lumpia snack said to be the best loenpia in Semarang. We went for dinner at Simpang Lima which resembles Singapore’s newton circle! 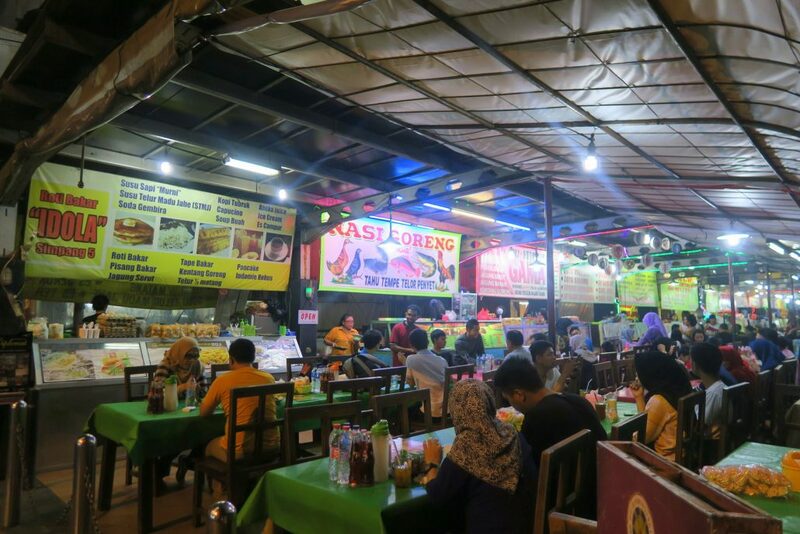 We really love this place for its atmosphere and affordable delicious food! We had our dinner in the restaurant and the owner was very nice and friendly! 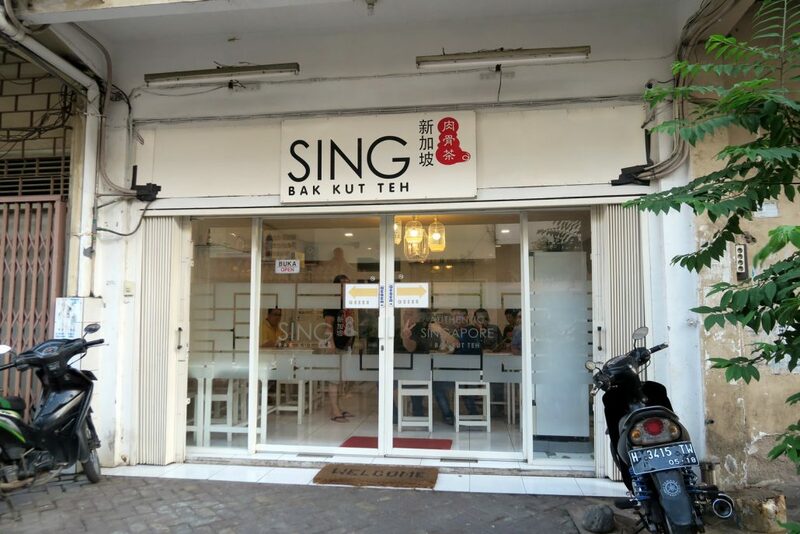 There were quail egg and kerepok on every table! 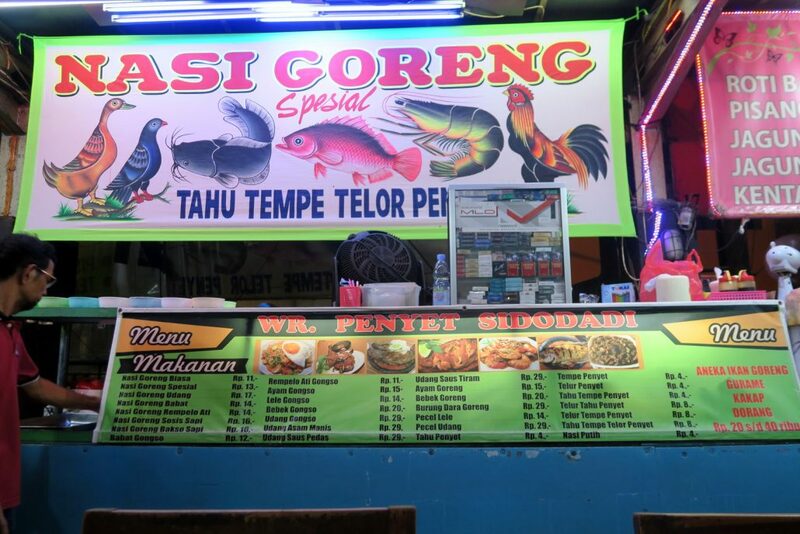 Obviously, we cannot live Semarang without trying the legendary Ayam Penyet! Here is our first ayam penyet! It was small but tender and flavourful! This meal only cost us Rp. 60,000! We went to explore around the vibrant city in Lima Simpang. 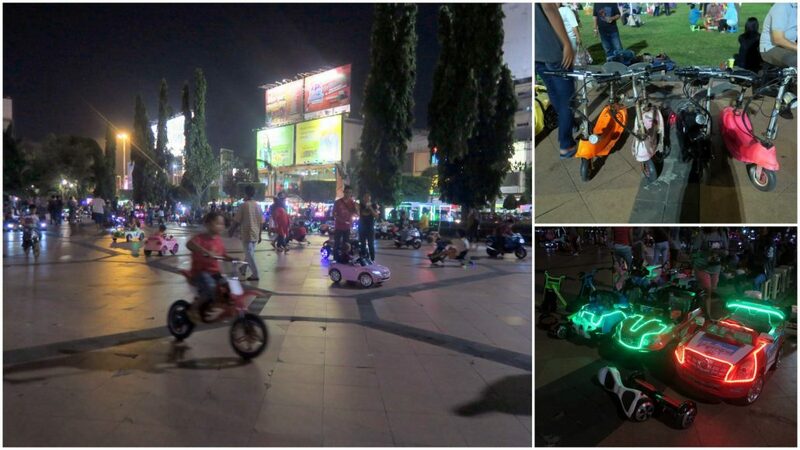 Fanciful brightly lighted up trishaws which cost Rp. 30,000 for a 10 mins’ ride. Kids games that are not commonly found in Singapore nowadays! This place is awesome and it relive our childhood! 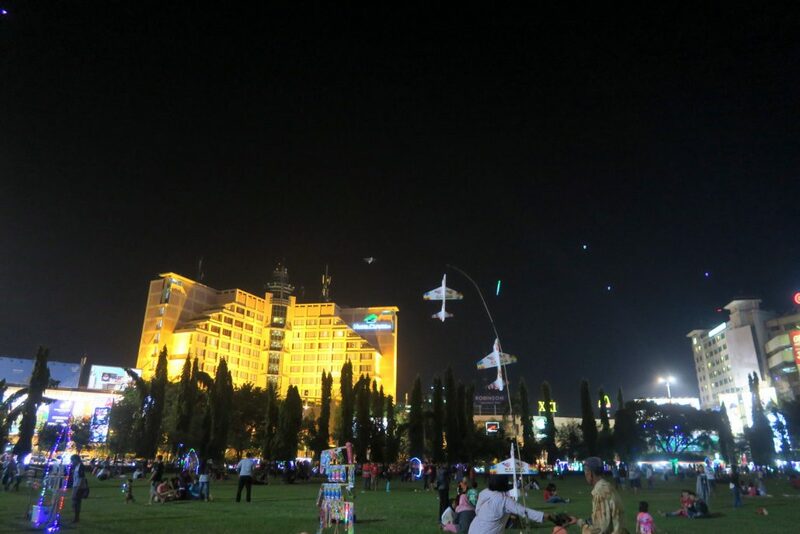 In the center was an open field with many people having picnic! 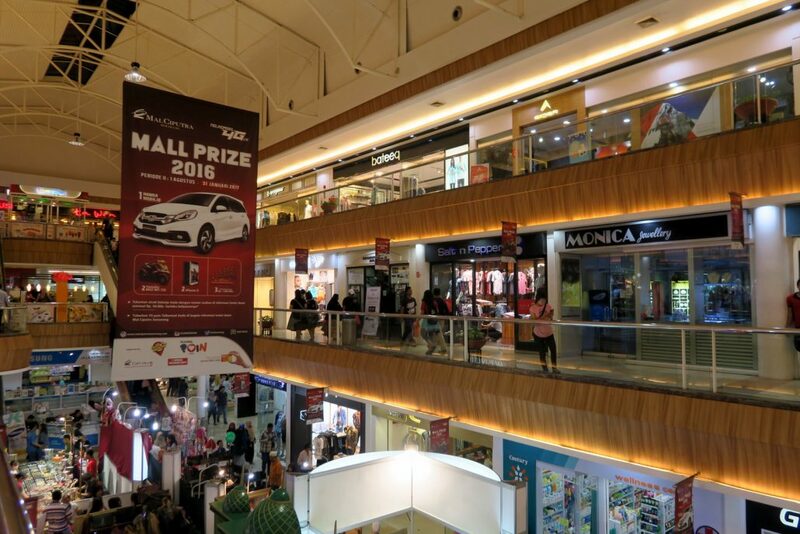 We walked around the malls in Lima Simpang but the things were quite pricey. 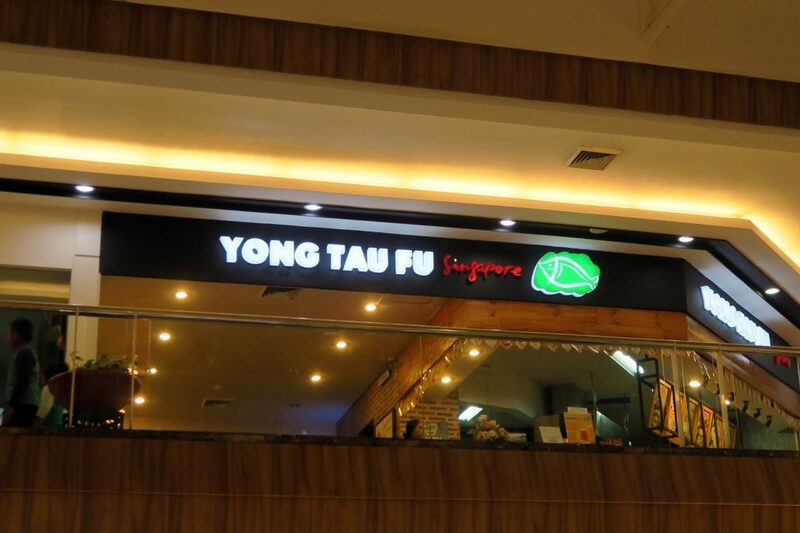 There is an arcade inside Mall Ciputra and we found Singapore Yong Tau Fu! 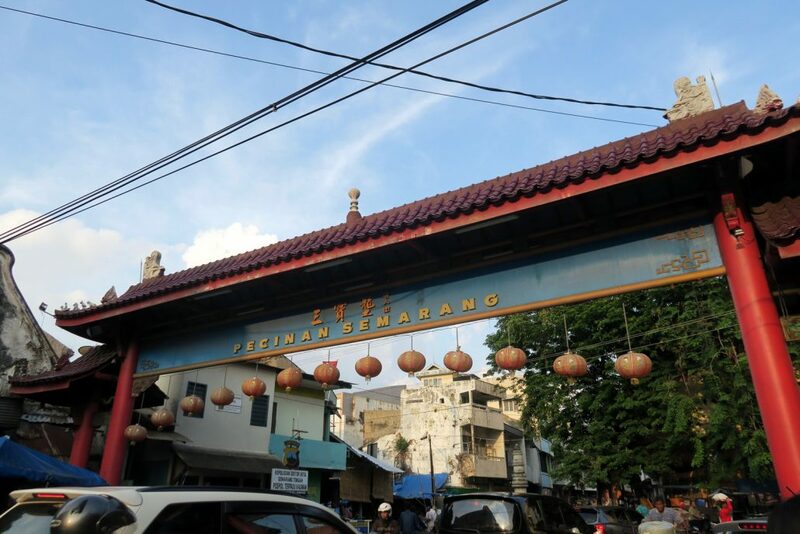 Time to return to our hotel and prepare for our last day in Semarang! 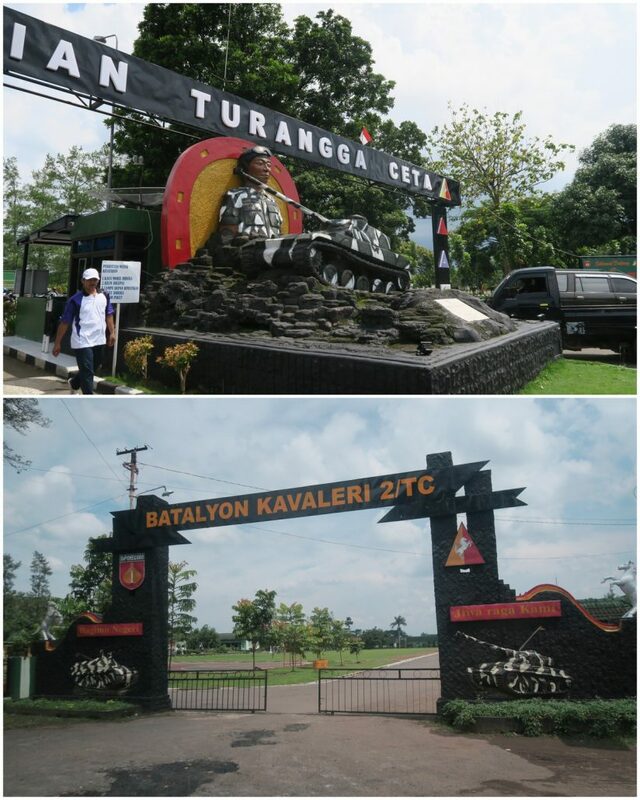 In order to be able to travel to these places, we were lucky to have Mr Atok to drive us around. He is proficient in English and has good driving skill. Even though some of the roads here are very steep and narrow but we felt very safe in his car! Atok even helped us in the planning of our itinerary and provided useful information to us. He also bring us to the attraction and helped to translate Bahasa Indonesia to English .He used to work in American Express in all department except accounting. 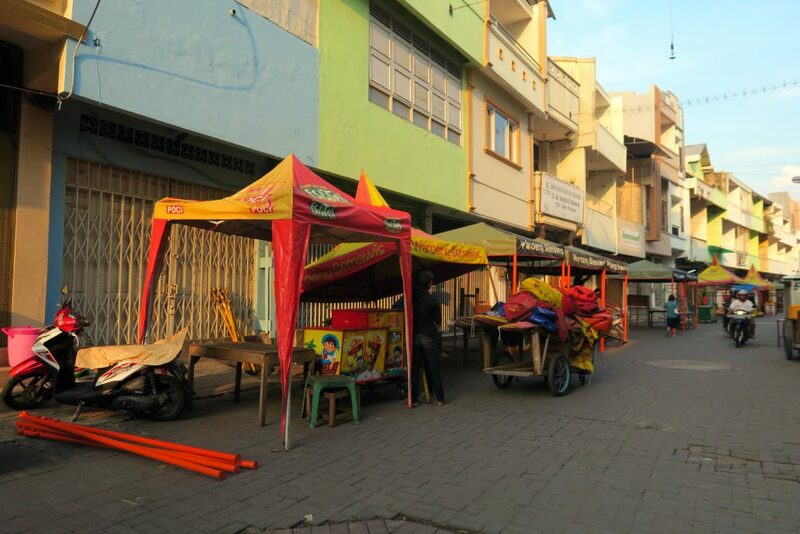 10 years ago, he retired and ran his own business in tourism for 10 years around Semarang, Yogya and Mount Bromo. Thanks to Mr Atok for making this trip so hassle free. Everything was according to what we communicated before we arrived. We really enjoyed him bringing us around. 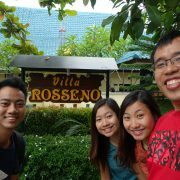 Rosseno Villa - Best All-Inclusive Villa in Yogyakarta! 10 Reasons Why The Canopi is a perfect Glamping spot in Bintan!